Yep....I was selected to be part of the brand spanking new Encouragement Squad over at CAS-ual Friday's. I mean H E L L O ...Jumping up and down, doing a happy dance! 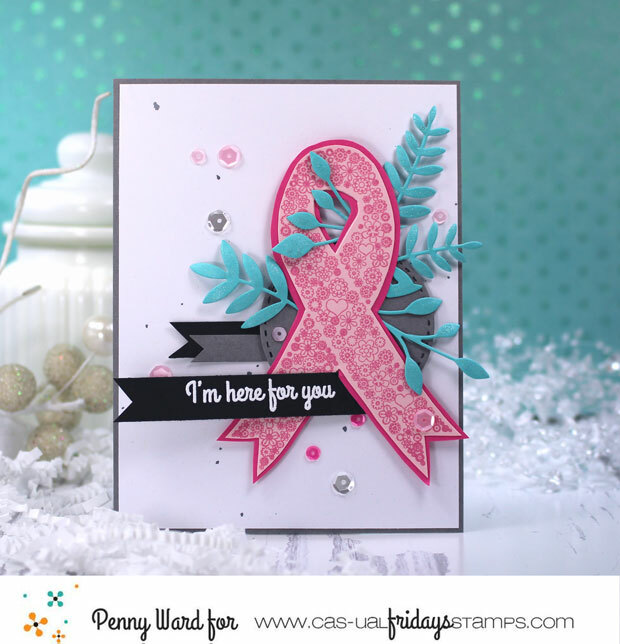 This new Design Team will be focusing on Breast Cancer Awareness with encouraging cards for those going through this and other illnesses. 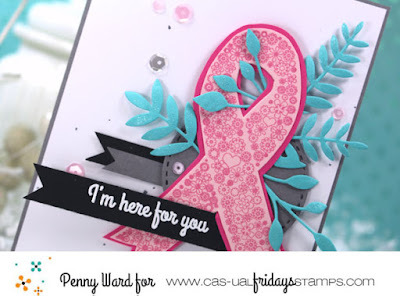 You probably know, I myself had Breast Cancer and it is not for sissies!!! I belong to a small but elite group of women known as survivors that have/had this disease. Nothing is more fun for me than making Breast Cancer Encouragement cards. 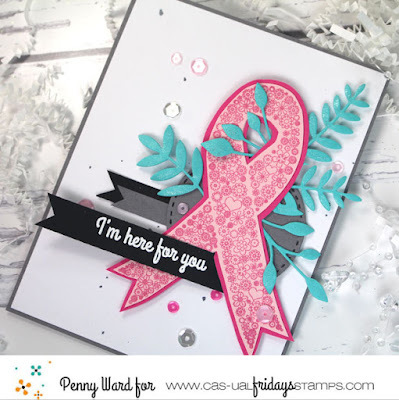 As I hear of women going through this, I like to send a card once in awhile just to let her know that I am thinking of her, I've walked in her shoes, I know what she is facing. Michele and the great folks at CAS-ual Friday's have a whole new way of getting the word out about Breast Cancer awareness. A special reminder message with card inspiration on the 17th of the month, then a card challenge starting the next day. 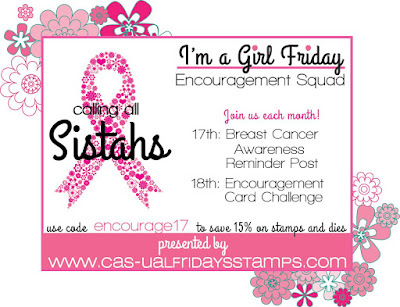 Mark your calendars and add Calling All Sistahs to your favorite blogs. 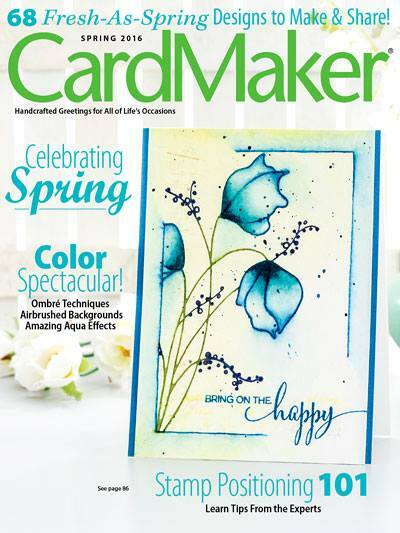 I am totally excited to be a part of the inaugural team to bring you card inspiration and reminders to check yourself monthly. Thanks for sharing about your experience. My mother fought hard, but it was in early times where cancer diagnosis was pretty much a death sentence. I'm so pleased to have lived long enough to see that no longer true, and I hope to see it become rare that someone dies because of that diagnosis. Congratulations on your new DT position! It sure wouldn't be as much fun without you! Your cards are always amazing and your spirit is so uplifting! I look forward to working on the same DT with you again!